Get Freedom Get the Freedom edition directly at TurboTax.com. To lend a helping hand in the times of need, TurboTax Freedom edition has been offered to qualifying E-1 to E-5 military families at no cost. You can file your federal taxes for free if you meet one of the following conditions: your Adjusted Gross Income (AGI) was $31,000 or less, you were on active military duty and your AGI was $57,000 or less, or qualified for the Earned Income Credit (EIC). The last option applies to low income families that earn anywhere from $13,660 to $43,998 for individuals or $18,740 to $49,078 for married filing jointly. The number of qualifying children decides the maximum income amount. If you’re a E-6 to E-10 level or officer in the military, then your Federal is discounted to $24.99. Free Edition Get the TurboTax Federal Free Edition. If you don’t qualify for the Freedom Edition, then the Federal Free Edition from TurboTax may still be able to help you get your tax software for free this year. This version was designed for those that don’t need much tax guidance and have a simple return to complete and file. Best of all, it doesn’t matter what your income level was in 2018, just how complex your taxes are to complete this year. If you start going through the form and you find out you need more guidance, the program will give you several upgrade options that are available. Keep in mind that Federal Free Edition only gives you the federal return for free, so there may be an additional cost if you need to file a State return as well (not all States will require this return). If you think you may qualify for the EIC, you can visit http://eitc.intuit.com/calctools/ that provides a step-by-step questionnaire to determine your eligibility. Simply answer few questions and you’ll have the answer in minutes. If you qualify for the EIC, the software will display the amount or the federal and state credit. his version is designed to prepare a simple tax return and will lead you every step of the way. As always, you have to provide answers about you and other family members included in this return (complete name, dates of birth, social security number, state of residence, marital status, income and expenses, etc). Most questions have “Explain This” link for further clarification and you get a summary of your return every time you complete each section. You can save the work at any time and return when it’s more convenient. TurboTax guarantees the maximum refund based on the information you provided, provides access to the latest tax laws and 100% accuracy, and explains how to save money next year (based on your situation). The final review fixes any gaps that exist in your review. If you skipped an entry, the software will take you only to the fields that need information; simply enter it and continue. After that just print and file. I’ve used TurboTax On-line Deluxe editions for years. This year, I came to the TurboTax site from Fidelity which offered a $20 discount. However, the Fidelity site took me to the Freedom edition. That, however, did not transfer the data from my previous year’s return. I believe, this should be noted both on the Fidelity and the Intuit sites!! When, later in the process, the system asks and allows for the upgrade to the Deluxe edition, it is too late: by then the data cannot be retrieved from the privies year’s return (even if the completion process is restarted). 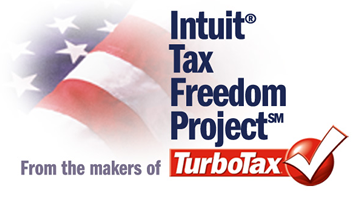 This makes the Fidelity “discount” and the Turbotax Freedom edition useless – for my needs. Very disappointing!